Long-running metallers Prong will be going on tour this year. A long tour. A really long tour. Starting in July, Tommy Victor and his two compatriots will start their epic trek in Italy and will loop around the European festival circuit. Then they’ll fly back to the US with an occasional co-headlining slate with vet thrashers Overkill. To wrap things up, Overkill and Prong will do another Euro run, ending up in the Netherlands. Total number of dates: 64. Total number of days: 116. Total haul: So much Frequent Flyer swag. Check out the full list of dates below. Prong have kept surprisingly busy since reforming in 2002 after an initial run from 1986 to 1997 that saw the band break out thanks to post-thrash classic and request-line favorite “Snap Your Fingers, Snap Your Neck.” The outfit started life as something of a crossover act before finding the groove and machine precision of industrial. Unfortunately, over their career, they’ve been something of a revolving door when it comes to membership. Still, they’ve had their share of impressive musicians including Paul Raven (Killing Joke), Ted Parsons (Swans), and Troy Gregory (Flotsam and Jetsam). Current bassist Jason Christopher joined the group in 2012 and Arturo “Art” Cruz in 2014. But, through it all, singer/guitarist Tommy Victor has been the lone Prong constant while splitting time as Danzig’s shredder. No word if Victor will be handling six-string duties for the reformed Samhain at Riot Fest. On September 30, Prong will hit Gramercy Theatre in NYC sans Overkill. Ticket details are TBA for that one, but tickets are on sale for the show they play with Overkill at Starland Ballroom in NJ three days earlier. In August, Overkill join Metallica, Slayer, Anthrax, D.R.I., Exodus, Municipal Waste, Body Count (who also have a Gramercy Theatre show coming up), Voivod, Hatebreed, Madball, Fucked Up and many more for the three day “Heavy Montreal” festival. Get yourself to Canada. 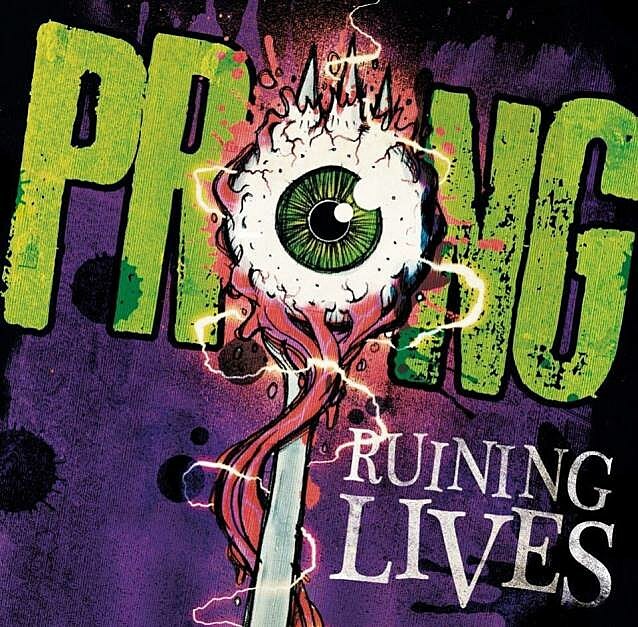 All Prong dates along with a cut from Prong’s newest album Ruining Lives and a few classics appear below.